LOCATION, LOCATION, LOCATION! Just minutes from Easton and I-270/670. 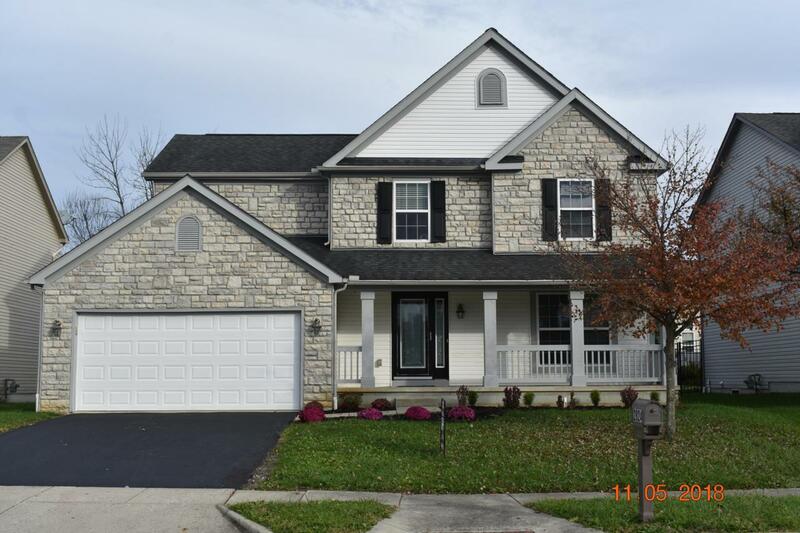 Gorgeous and spacious 4-bedroom, 2.5 bath home with 2-car garage and partial basement on a quiet and well-kept street. Grande and open family room with fireplace, ideal for entertaining all year round. 1st floor laundry room. Spacious front porch, perfect for rocking chairs and sipping hot cocoa while watching the leaves fall in this beautiful Fall weather. MOVE IN READY HOME!! New paint and carpet throughout, newer kitchen and lower level flooring, roof replaced in 2006. Don't miss out on this beautiful home, your buyers will love it! AGENTS PLEASE SEE A2A REMARKS.